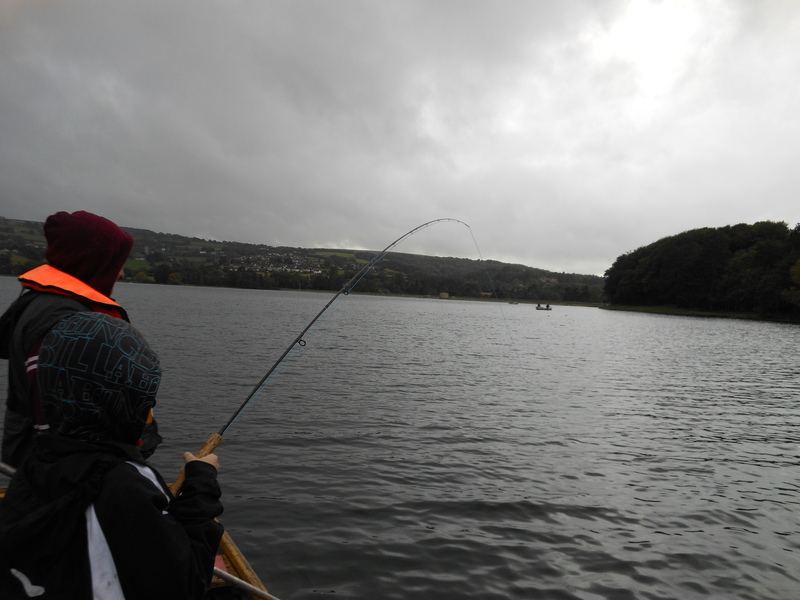 Fished Blagdon lake last Monday in showery conditions with younger brother and my son. Winds were from south west with strong squalls of wind and rain keeping it suitably fresh with small interludes of sunshine. 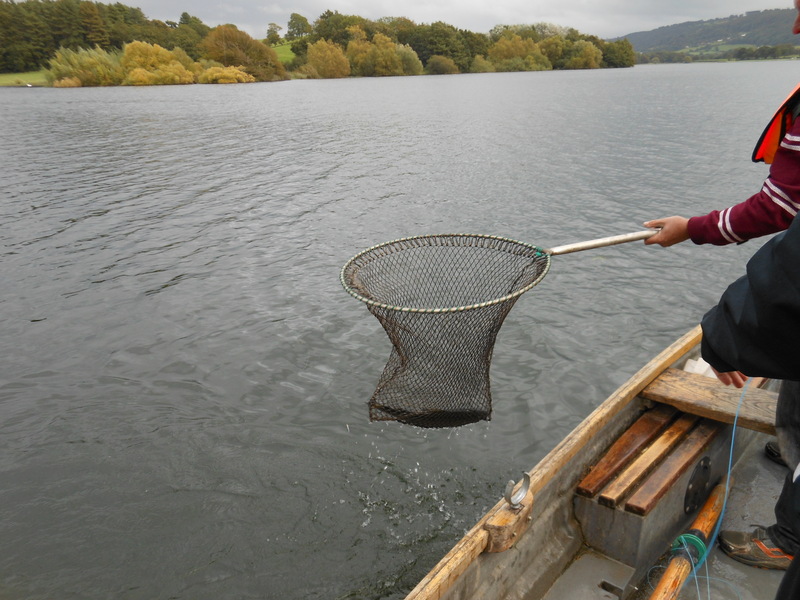 The boats at Blagdon have no motors, which means a bit of a workout with the oars, although we noted and cursed some anglers with their own electric motors. 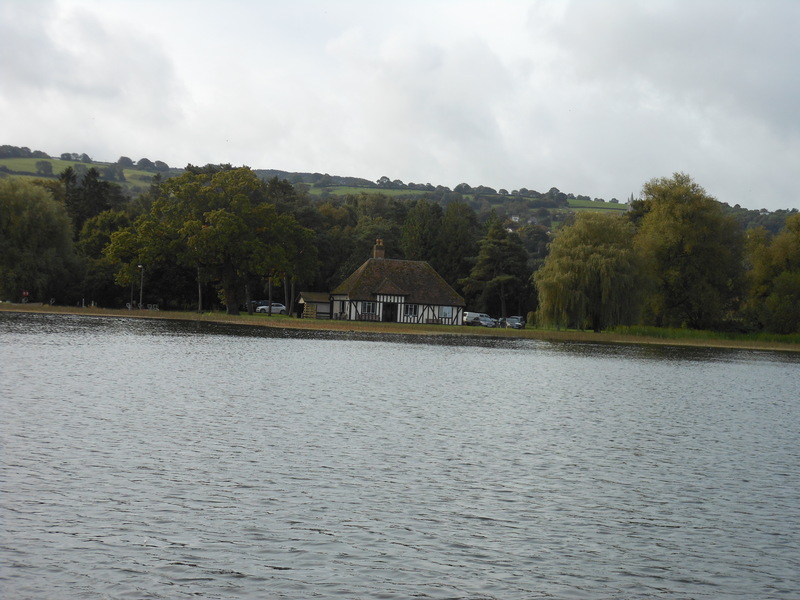 Over to the far side of the lake, we anchored up in Butcombe Bay. It was happy days with the 1st fish coming quickly to me on a Diawl Bach nymph. However that was the last fish I saw for quite a few hours. Brother fished an intermediate line getting the flies down in the water and steadily caught fish on a white marabou lure, myself only having a floating line, the fish were down deep. We moved around Butcombe bay to get out of the wind, closer to the bank, a gold head black buzzer got my flies to the right depth and was to the trouts liking. All of a sudden we started catching fish fairly regularly, all up we caught 14 between us (3 for me, my son had 4 and brother had 7). 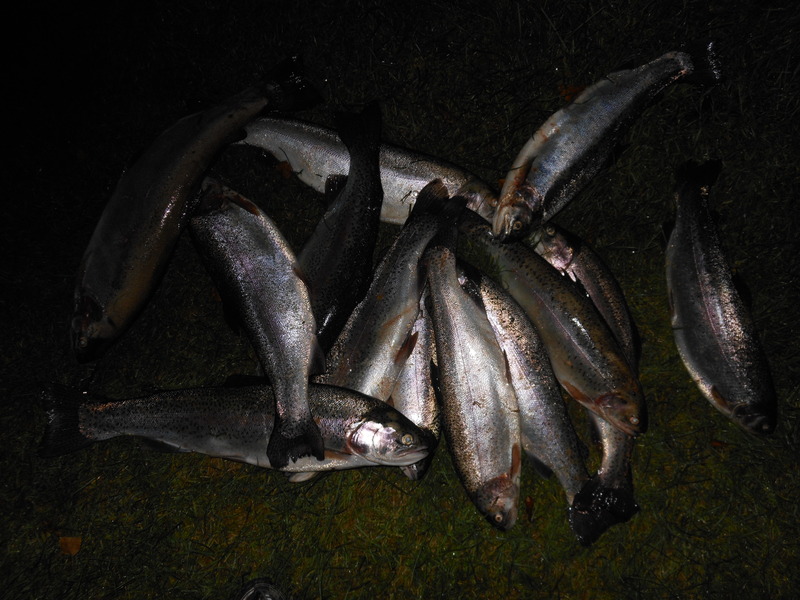 All the fish were between 2-3lb in weight. We kept a dozen fish which have all been given away to various family friends. 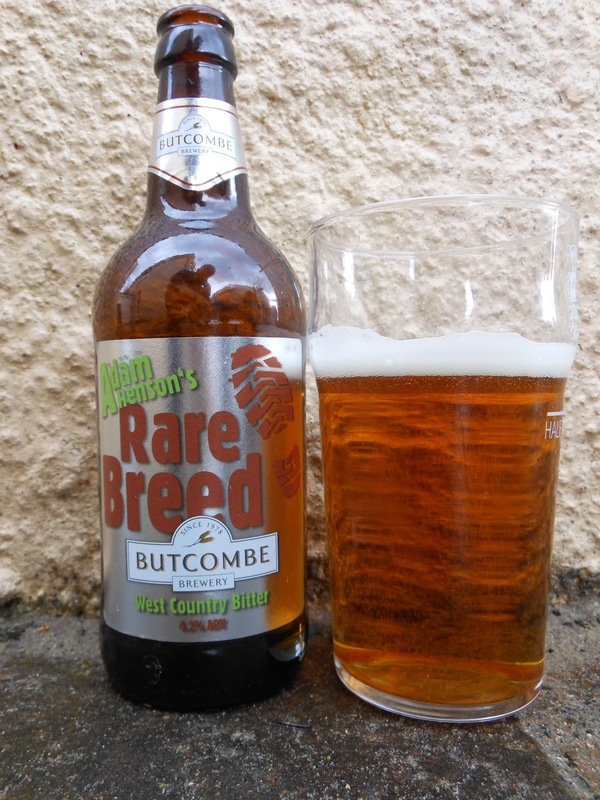 The beer of choice from the local Butcombe brewery was the Adam Henson’s Rare Breed Best Bitter. Adam Henson is a local famer and presenter on the BBC program Country File and Farming Today. This beer is a traditional English bitter beer, had a very strong smell about it similar to some of my home brews of the past whether that is the hops or fuggles. A very distinctive rich hop smell. Easy drinking and very much like a beer that would be served on tap rather than a bottle. The beer was fine but probably one I would have on tap. Not the first Butcombe beer of this trip, a few Butcombe Bitters sampled in a variety of pubs, this fine beer reviewed in a past blog.